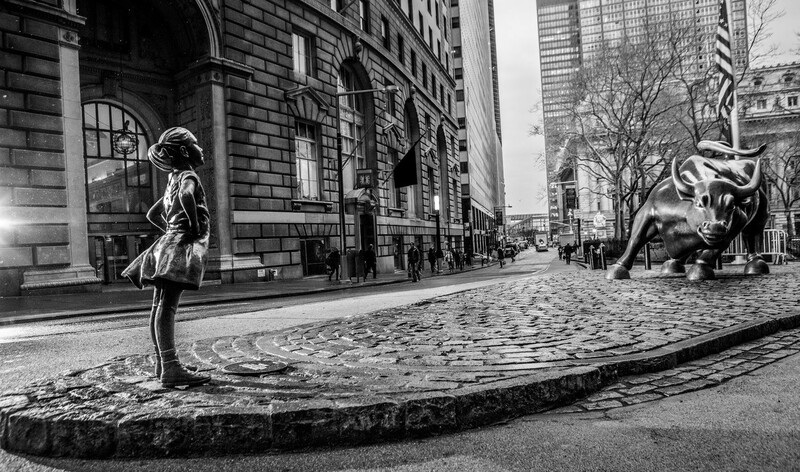 In 2017, New Yorkers woke up to a bronze statue of a girl fearlessly facing the famous Charging Bull. The Fearless Girl, as she was touted, depicted the brave-heart spirit of the feminine tribe, as they make their presence felt in a male dominated arena. Wall Street in this case, the world in general. But why am I thinking about her, now? Its 31 December, time to reflect back on the year gone past and pen down reflections. Like every year, this too has been full of personal ups and downs, for the world, as well as for me personally. As a single planet, we’ve seen (quite a few!) celebrity weddings, mourned the loss of several personalities, lived through disasters and scandals, and collectively celebrated occasional. Yet, as the year draws to a close, I cant help but observe how significant this has been for women across the globe. The year began with the carrying forward, of the movement that caused a global outcry of women releasing pent-up pain, hurt and anger — the #MeToo and #TimesUp movements. While there have been multiple instances of women standing up fearlessly for the rights of themselves and other women, I can’t recall a single movement uniting so many women across geographies, societies, cultures and walks of life, in a single thread, even if it was to share collective past injustice. Bringing down figures otherwise considered juggernauts, #MeToo will go down in history not as an expression or hash tag, but as a powerful reminder of what the spirit of feminism really stands for — Women building other women. Then there was the Royal Wedding, a tradition-breaker in its own sense — where even royalty opened up its arms to an American, divorced, feminist, half-black Megan Markle — all new adjectives in its kitty of what it otherwise meant to be royal. I remember a picture of a teenage Megan Markle posing as as a tourist outside Buckingham Place doing the rounds on social media. Of course you can be certain that even in her wildest of dreams, she possibly had no idea that years later, she’d become part of the very family that owns the alace. Which to me only goes on to prove, that in these new times that we live in, it doesn't matter where you come from. And that where you go in life is not as much a function of you race and gender as much as it probably used to be. And there was Saudi Arabia, which broke its own tradition by recognizing the fundamental right of women of being allowed to drive. When a country and society that for centuries has kept women in the backseat, welcomes them to the drivers seat, the world sits up and notices. Because figuratively, it means that women now have the freedom, to steer their lives in the direction of their choice, rather than being a victim of impositions in the name of society and religion. And closer home, we broke barriers too. The Supreme Court intervened in the Sabarimala matter, ending the age-old practice of preventing women from entering the temple. And as an end-of year present to society, the Triple Talaq, an Islamic practice that allowed a Muslim man to divorce his wife by the mere utterance of a single word thrice , has been declared a criminal offence. In the context of feminism, while in the words of my favorite poet — Robert Frost, there still ‘miles to go before I sleep’, its also been a good year to take a seat back, and rejoice how far we’ve come. I can probably see the Fearless Girl smiling, and in the spirit of optimism, I can say it has been a good year for the girl indeed.